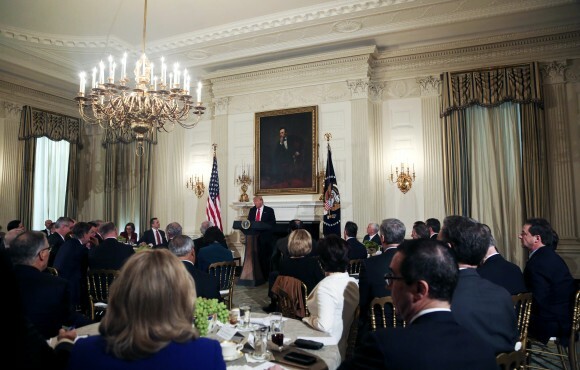 President Donald Trump met with the nation’s governors on Sunday to discuss bringing more autonomy back to the states and to discuss his budget for 2017. “These governors have been bold reformers, and their success shows why we need to make states the laboratories of democracy once again,” he said. We’re going to “make decision-making proper, and decision-making fast,” he said. Trump said that his administration will do all that it can to restore the authority of the states. 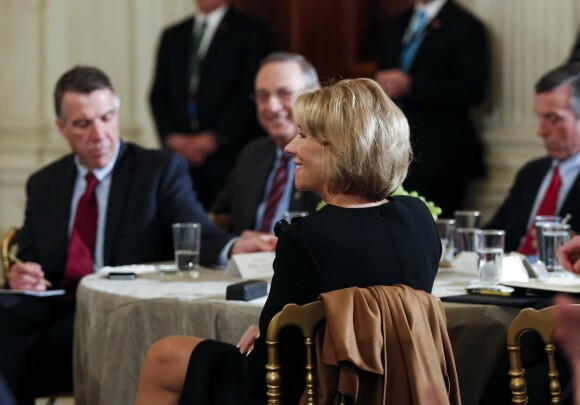 He briefly talked about education and school choice, tipping his hat to Education Secretary Betsy DeVos for “taking a lot of heat” from Democrats during her confirmation process in the Senate. Trump talked about his repealing and replacing of Obamacare giving states the flexibility to deal in a way best suited to their situations. He put emphasis on the complexity of the current healthcare system, but that it needs to be taken care of before his sweeping tax cuts come in—seemingly a plea for patience from those eager to see his promised tax reforms. 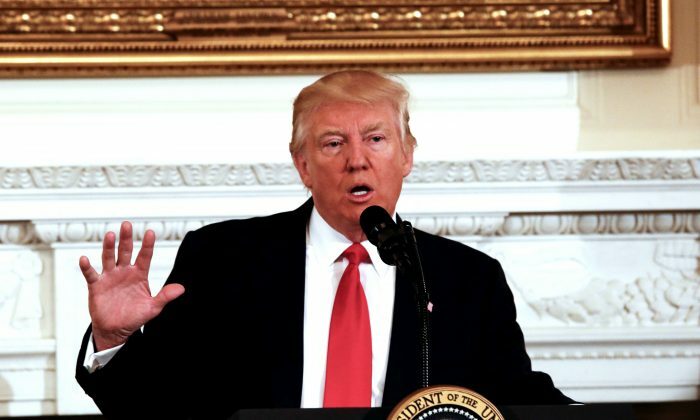 Trump said his budget would be focused on public safety and national security, including a “historic increase in defense spending” to rebuild a depleted U.S. military. The increase in defense spending would be offset, he said, by savings achieved through making the federal government more efficient. He used a deal he made with Boeing earlier this year as an example, where he helped cut costs on the new Air Force One planes. Federal and local law enforcement spending will be “substantially increased,” Trump said, to win the fight against violent crime in cities like Chicago. The budget follows through on his pledge of “keeping Americans safe, keeping out terrorists, keeping out criminals, and putting violent offenders behind bars—or removing from our country altogether,” he said. Trump credited Department of Homeland Security chief John Kelly for the job he has done so far at the border, reiterating that the people being removed are “the bad ones”—drug lords, gang members, and murderers. “We’re getting some very, very bad players out of this country,” he said. Trump praised Secretary of the Department of Veterans Affairs David Shulkin for his unanimous confirmation earlier this month, a rare feat in a battle to get his cabinet picks confirmed by a Senate divided largely along partisan lines. The comment garnered laughs at the meeting in light of the record-setting time it’s taken for Trump’s cabinet picks to be confirmed due to what Trump called “obstruction” by Democrats. Shulkin is the only holdover from the Obama administration among Trump’s cabinet picks.